Edited by Lynn Tepper, EdD, et al. Anyone who is assumes the duties and responsibilities of caring for an elderly relative or a chronically disabled family member soon learned that the caregiver’s role is often overwhelming, adversely affecting and even the most compassionate Samaritan. In most family situations, the caregiver must be in attendance almost constantly, ready to respond to the unrelenting needs of parents, spouses, children or other relatives and friends who are unable to care for themselves. Whether a formal provider (a paid employee) or an informal provider (a family member or close friend), the effects of caregiving are similar; essentially never-ending, tragic to experience, and not infrequently, a thankless effort. How common are these problems and how often is respite for caregivers needed? It is estimated that 15 percent of persons over the age of 60 require some form of long-term care. Add to this number the many children and young adults with severely disabling diseases who must be cared for at home for prolonged periods, sometimes for their entire lives. It is hardly surprising that caregivers develop burn out along with extreme physical and psychological stress, causing them to ultimately require some form of respite care, in other words, care for the caregiver. Within the past few years the concept of respite care has assumed an important role in the continuum of long-term care; it is now recognized as a key component of caregiving programs for the elderly and disabled. Simply stated, unless the caregiver can function effectively, the other elements of care suffer greatly and may, in turn, have reduced value. While there are several different approaches to respite care, all have the same basic objective: to provide caregivers with temporary, intermittent, substitute care, allowing for relief from the daily responsibilities of caring for the elderly or disabled. Respite care is essential for all caregiver, whether they are formal providers (who are paid) or informal providers (family members or close friends). This book represents the first time in a single volume that respite care has been examined in detail: what it is, why it's needed, how it functions, how it works, and practicalities and problems of implementation. Models of institutional and community-based respite care are presented to familiarize readers with a typology of respite care, its benefits, drawbacks and costs to the consumer. The book includes representatives from many disciplines, including nursing, medicine, social work, psychiatry, psychology, dentistry and administration, among other. Of particular value are the personal accounts of those who find themselves in the taxing role of primary caregiver. Without question, this unique book is required reading for all anyone who is involved in caring for another. It will be benefit both the caregiver and the patient. "With thousands of severely disabled people and then estimated 15 percent of persons over the age of 60 requiring some form of long-term care, the topic of respite care, that is, temporary relief provided for the long-term care giver, is very important. Specialists and academicians from disciplines such as nursing, medicine, social work, psychiatry, dentistry, financial planning, and administration contribute to this treatise. They describe in detail what respite care is, how it functions, and the practicalities of its implementation. Case studies are used throughout to illustrate typical caregiving situation is. The writing is consistently clear, thorough, informative, and well-suited to students, caregivers, and professional. This excellent book is highly recommended for libraries serving medical, social work, disability, or gerontology problems." "This book is very useful in that it analyzes the important aspects of respite care from both the patient’s and the administrator’s point of view." "Providing long-term care for an elderly relative or a chronically disabled family member often is overwhelming to the caregiver, resulting in extreme physical and psychological stress. If not relieved, the stress may result in caregiver burnout. Ultimately, the caregivers themselves for a wire some form of respite care. The concept of respite care is now recognized as an important component of caregiving programs. 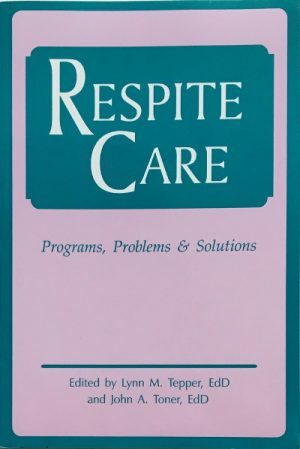 "This volume comprises a series of articles examining respite care: what it is, why it is needed, how it works, and problems of implementation.  The contributors represent a variety of disciplines, such as nursing, medicine, social work, psychiatry and psychology. Personal accounts are included with some contributors who found themselves in the texting role of primary caregiver. Dementia Day Care: Respite or Therapy?